Drain hole in bottom to prevent liquid build up. 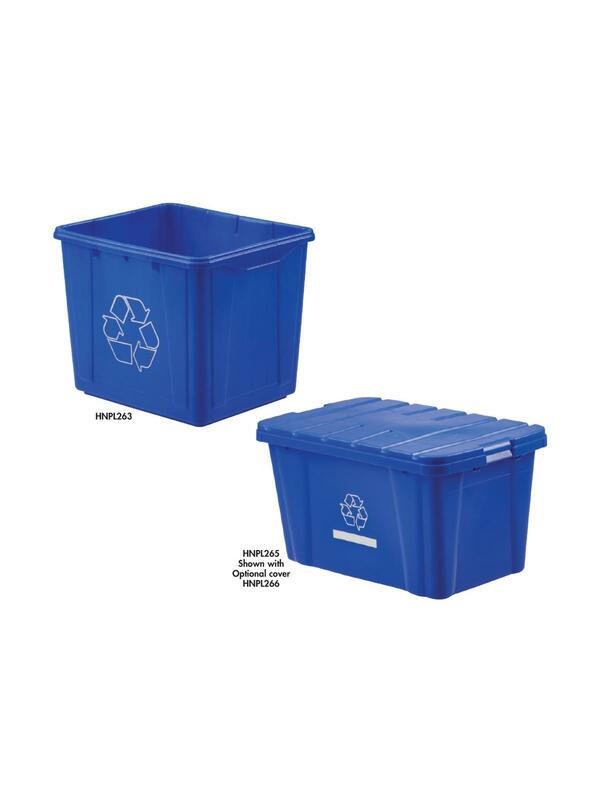 All LEWISBins recycling containers are manufactured with recycled materials. Different containers sizes offer options for glass, paper and plastic recycling. 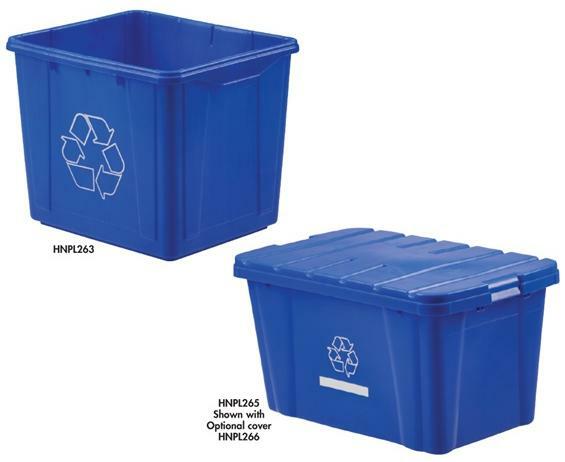 Container covers are available on select models. 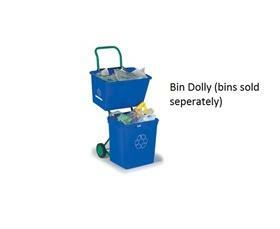 Recycling bin accessories includes a bin dolly for curbside transportation. FOB Shipping Point.